An entirely original story of being albino in Africa, written by an African albino. 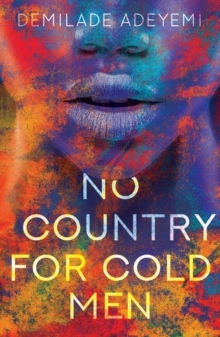 Set in a dystopian time- African countries unite to form one body ruled by one government. The story takes place after the PanAfrican reform. All the countries in Africa have fused to become one massive body where the people are categorised by their social order and live accordingly. It follows the life of a boy born with albinism in Africa, where it is very dangerous to be an albino. As a baby, he was banished to the extreme of the continent where he was raised by a prison officer and his wife who were instructed to give him a life designed to keep him from finding out who he truly was, but when circumstances change, he journeys to the centre of Africa to find out who his parents are and the circumstances of his birth. Along the way he encounters for the first time hatred and discrimination from others because of the colour of his skin and the traditional beliefs about albinism. As he goes further in his journey, he discovers several truths about himself and about society around him, but at the very pinnacle of his story, it is clear that he will never be accepted.